Alexander Karasev Nikitivich. Biography. Service. Hostilities. Battle wounds. A photo. Home » airmen » Alexander Karasev Nikitivich. Biography. Service. Hostilities. Battle wounds. A photo. Born Alexander Karasev 30.08.1916 Vladikavkaz (North Ossetia), the son of an ordinary worker. He graduated from the 7-training classes and regular school, then enrolled at the trade schools. He worked at a garment factory as a turner. In the ranks of the army to 1937 years. Karasev in 1940-m graduated from Nakhichevan school pilots and 1941 year Babayskuyu flight school. participant and veteran Great Patriotic War. On July 1941 took part in World War II. He fought in the skies of Rostov-on-Don and Stalingrad. Six "Jacob" 9-25.03.1943 th Regiment conducted a tough fight with a group of German bombers 100, which covered 18 Bf.109. Our pilots in the battle were able to shoot down enemy aircraft 7. The turning point in the battle came after Nicholas Korovkin leading German fighters destroyed ramming attack. Both aircraft broke up into small pieces. Korovkin was able to open the parachute, but it took another fiery track "Messer". Karasev did not have time to cover companion, but he was able to avenge his death, knocking the Bf.109. Karasev, recovering from the wound received in this battle, continued to fight the fascists and defeat them. 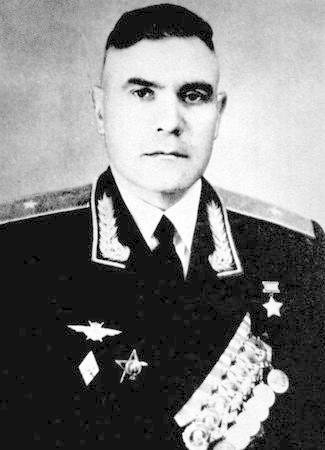 By May 1943, Karasev made a 301 takeoff, took part in 70 air battles, was personally able to shoot down 14 German planes and another 9 in the group. 24.08.1943 was awarded the title of Hero of the Country. In the summer of 1943, after "Yak" Karasev moved to the "Cobra". In the battles for the Crimea, in the spring of the year 1944, fighter Alexander Karasev was hit. The car fell on German territory and exploded ... He managed to produce about 380 missions and taking part in battles 112, 30 able to personally destroy the German aircraft and 11 in the group. For a long time there was nothing known about his fate. Only after the war learned that Alexander Karasev alive - had to jump with a parachute, but it was in Nazi captivity. After some time all the awards he was returned and he was able to continue to serve in aviation. He participated in the Korean War, served as part of the 523-th Aviation Regiment (303-I division). Made 112 sorties, was able to destroy 7 American planes in battles. Returning to the Union, he served in the Air Force of the country. Since 1968, Karasev, being a major general, has gone to the reserve. He lived in Chernigov. Yes, fate is clearly favored Alexander. What an interesting, difficult, but in the same breath -budto! -zhizn.Kakoy Hard look! How do you want to know the heroes of our grandchildren and proud of their country!